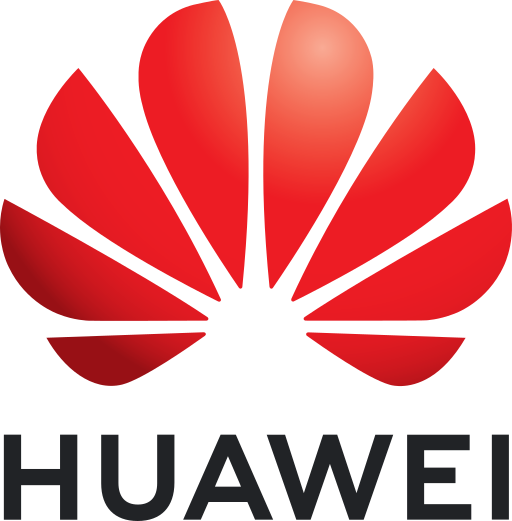 Corporation of Huawei’s logo. The Huawei arrest has been at the centre of the deterioration of Sino-Canada relations. CANADIANS DETAINED IN CHINA. Former Canadian Diplomat Michael Korvig and entrepreneur Michael Spavor continue to be detained by Chinese authorities over an ongoing legal despute. Trudeau has called on Canada's allies and friends, including Japan's President Shinzo Abe and the United States' President Donald Trump, to marshall pressure on China, so they release the detained Canadian citizens. This is yet another blow Canada has faced in its foreign relations in recent months, including the widely publicized spat with Saudi Arabia, which means Canada will need to strongly counter these fronts to maintain its position as a pivotal, middle power. NETANYAHU CONTINUES TO DENY CORRUPTION ALLEGATIONS. On Monday evening, Israeli Prime Minister Benjamin Netanyahu addressed Israeli citizens on live television. Mr. Netanyahu used his 7 minutes of prime air time to deny the corruption allegations against him that are expected to lead to his indictment. Mr. Netanyahu his accused of bribing Israeli news tycoons with regulatory favours for positive news coverage. He is also accused of taking bribes for regulatory favours. Israeli police have recommended to Avichai Mandelblit, Israel’s Attorney General, that Mr. Netanyahu be indicted. As the public waits for Attorney General Mandelblit to render his indictment decision, Netanyahu continues to call the investigation “biased” and a “witch hunt”. An indictment could lead Mr. Netanyahu to become the first Prime Minister of Israel to be charged with a crime. BREXIT DELAY LOOMS OVER HALTED BRITISH GOVERNMENT. One can say there have been a series of unfortunate events for the British Parliament in the stages prior to the UK’s planned exit from the European Union. A cycle beginning with Prime Minister Theresa May’s defeats over legislation without removal, the Labour Party calling for election, but being ignored, and debates over Brexit without resolution - all of which have been repeated countless times. Parliament needs to support a Brexit deal that would prevent the country from suffering severe consequences once out of the EU on March 29th, however, with the deadline fast approaching, not much has been done to prevent disaster. WET’SUWET’EN PIPELINE CONFLICT. Just outside of Houston, a small town in the Northern Interior of British Colombia, the RCMP have arrested 14 people this week involved with the Gitdumt’en checkpoint in an effort to enforce the BC Supreme Court’s injunction order against the blockade. The Gitdumt’en checkpoint was the second of two set up by members of Wet’suwet’en clans (there are 5 clans which encompass the Wet’suwet’en First Nations) to prevent Coastal GasLink workers from entering their traditional land in order to build a pipeline. While the Wet’suwet’en’s elected band council approved the pipeline, the hereditary leaders of the five clans remain vehemently opposed to its construction and have not given consent to the pipeline companies for the use of their lands. Following the arrests, the Wet’suwet’en hereditary leaders began talks with the RCMP which resulted in a tentative agreement to allow workers access to the land, but the Wet’suwet’en leaders have clearly stated that this action was an attempt to de-escalate the situation and does not constitute consent for Coastal GasLink’s project. ORBAN SUPPORTS POTENTIAL FAR-RIGHT POLISH-ITALIAN ALLIANCE. Viktor Orban, Prime Minister of Hungary, offered his support Thursday to the notion of a right-wing, illiberal electoral alliance to challenge establishment parties in the European Parliament elections this may. This was in reaction to Italian interior minister Matteo Salvini’s announcement that he would be working with the ruling populist Law and Justice party (PiS) in Poland to create such a political force. Salvini said this alliance would herald a “new European Spring,” using revolutionary language to paint the “French-German axis” as an oppressive bureaucratic force within the EU. Hungary and Poland already try to work for each other’s common interests, as two of the four member countries of the “visegrad group” -- the other two being the Czech Republic and Slovakia. A formal electoral alliance could challenge pro-european forces, with Orban singling out France’s Macron, who has himself sought out alliances with like-minded political forces. One problem with an Italy-Poland alliance is the image of Salvini and his party as pro-Russian. While far-right nationalism often manifests in the lionization of Putin as a like-minded warrior for his nation, deep wounds and modern threats make a pro-Russian stance anathema to Polish politics.